Have you ever been to the border? This is the border. 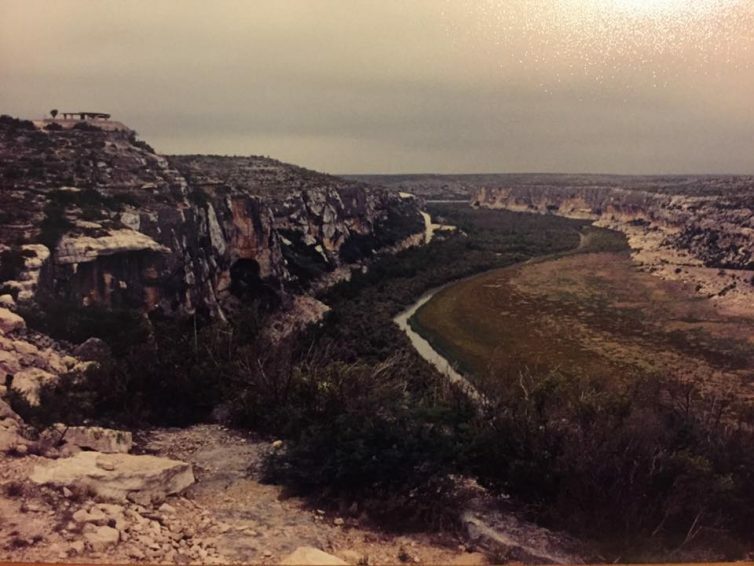 This picture is the place where the Pecos flows into the Rio Grande. I took this picture in July of 2002, and I’ve never been in a more peaceful place. There was no sound, save the wind and an occasional bird. There’s this idea of a wall. It would cost us billions, and I guess we’d pay twice with a 20% tax on imports. There would be a taking of lands from private owners, environmental concerns such as flooding. Human traffickers and drug traffickers would just find more officers to bribe to get through it or would build tunnels and use boats, terrorists will continue to study and exploit our system and find ways to get here, far from the Great Wall. The wall is useless. But like I said, the wall is not the story. Here’s what else is planned for the border: He wants to construct detention centers along the border, and ship asylum officers and immigration judges there. The idea is to hold asylum seekers far from lawyers, far from family, so their asylum cases can be rubber stamp denied and they can be sent back quickly. People would be held without hope for release. Private prison stockholders should be happy about this. Immigrants make lots of money for them. Those who are not sent to these detention camps will be returned to Mexico pending a hearing. This has people scratching their heads. How can you keep a Mexican asylum seeker in the place where he is in danger? You can’t, it’s neither legal nor moral. What agreements could there be for Mexico to house Central American asylum seekers? Or is the thought that the US can skirt its international obligations by letting Mexico deport people? Asylum cases and removal proceedings are already severely backlogged. You have to wait years for a hearing. If asylum officers and judges are sent to the border, that will get worse. There’s a hiring freeze, remember. He wants to end the “catch and release” program, which ended 10 years ago. He wants to add 5,000 border patrol agents. You know what happens when you quickly hire 5,000 people, don’t train them on complex laws, arm them and give them absolute and complete authority over people? It’s not pretty. Under the executive order, we will only be successful is there are ZERO unlawful entries of people, drugs, or terror. That’s an impossible standard. Then again, this is a policy that fails to consider how illegal immigration has reduced. It’s based on fear mongering, not on reality.